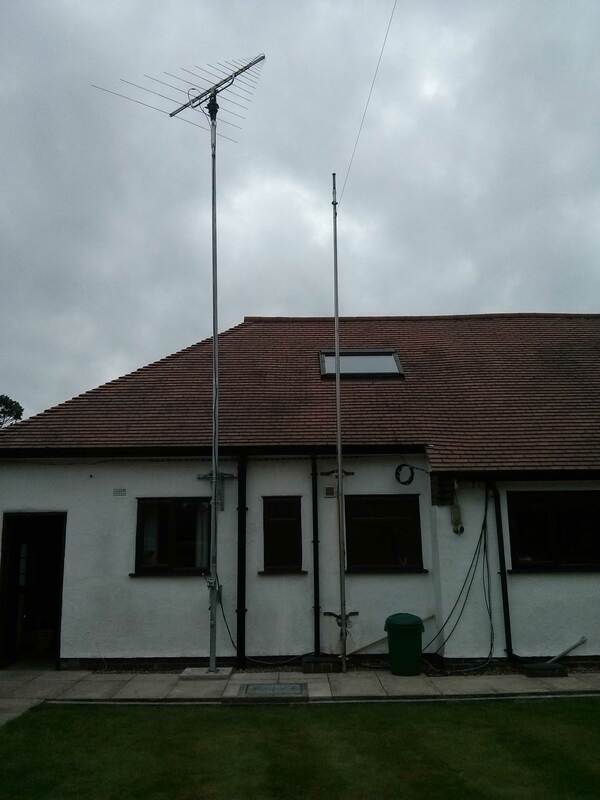 The Adapt-A-Mast is suitable for lightweight antenna applications. 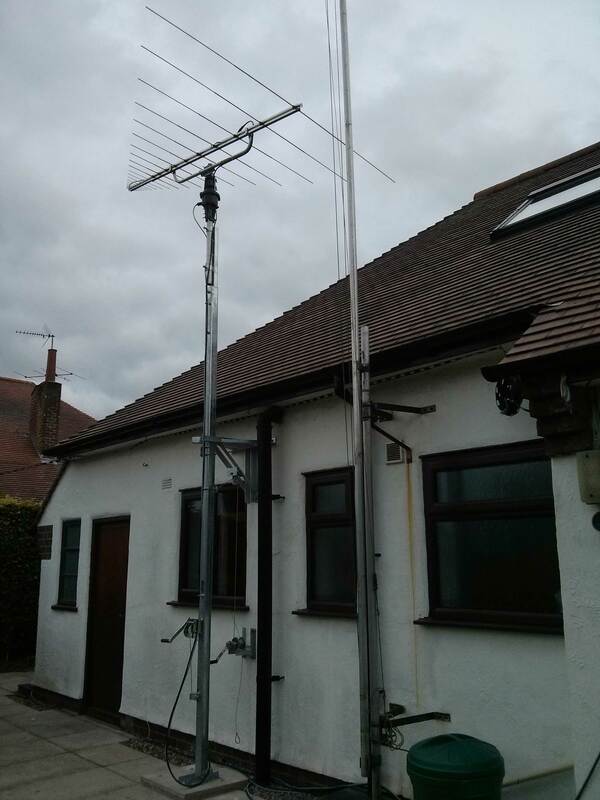 Ideal when there is little or no garden space available to mount a free standing mast. With a very low visual presence, they are preferred by many users and councils. Easy and cheap to install. Planning permission not always required, as they are simply fixed to the wall of the house or outhouse/garage, etc. 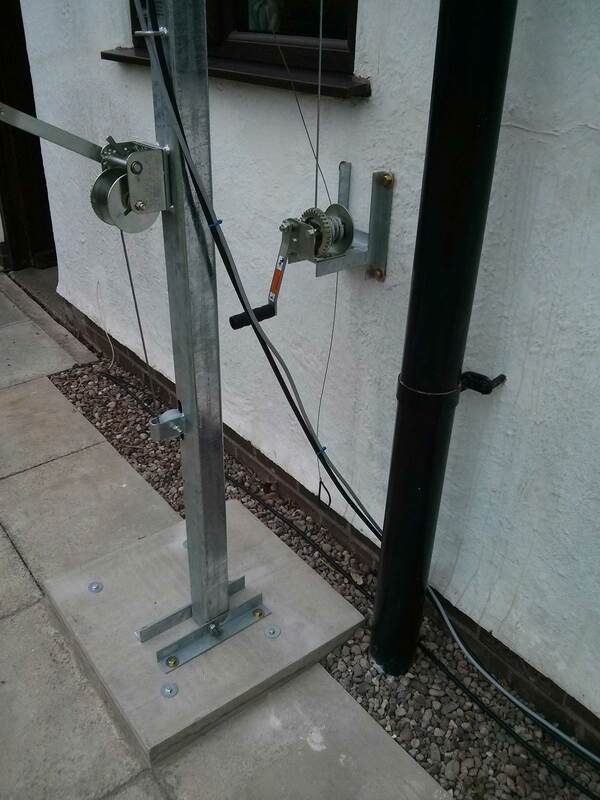 eg: 2 element compact tribander and 2m co-linear. Guying recommended when raised in windy conditions. 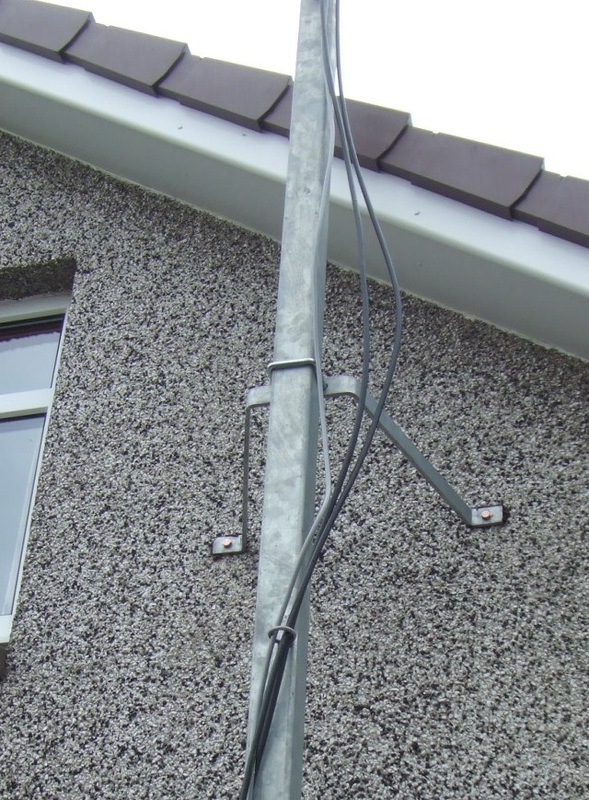 Supplied brackets are nominal 200mm, 300mm or 460mm stand off from the wall. Tilt kit is available as an additional option, along with latching top bracket. 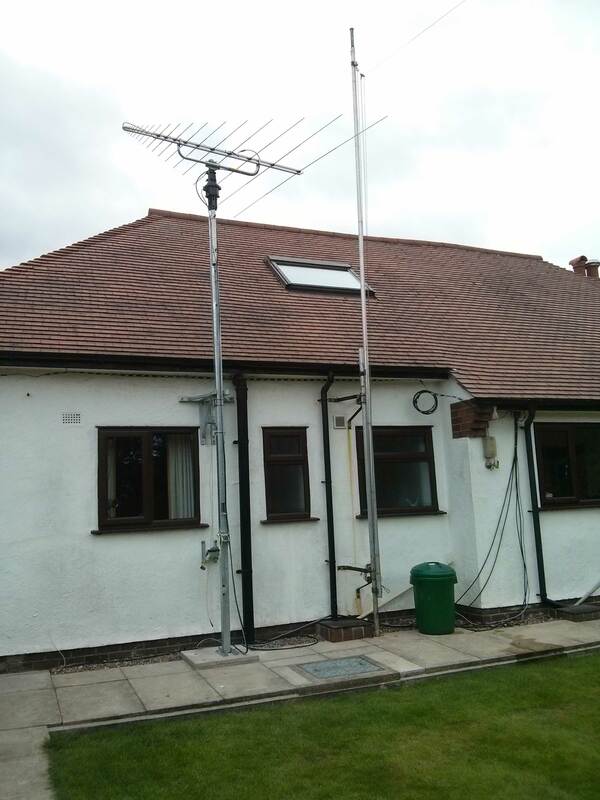 Socket can be supplied as an option to the wall brackets, so that the mast can be ground mounted. Please note this is not suitable for tilting. Any alloy pole up to 48.3mm can be accommodated, and should be restricted to a maximum length of 2.1m i.e., 1.6m above the rotator.